Hollow block making machine can effectively produce hollow blocks by processing sand, cinder, slag, fly ash, gangue, insdustrial and construction wastes, which is very cost-saving and environmental-protection. We have many types of hollow block maker machine, such as, fully automatic type, semi automatic type, concrete hollow block making machine, etc. Main models of QT3-15, QT4-25, QT6-15, QT8-15, QT10-15 and QT12-15. Aimix Group is one of the most reliable hollow block machine suppliers and manufactures. The machine made in our company can produce concrete and cement bricks, and when the operator replaces the different molds, it will produce the bricks with different specifications and shapes. If you get a hollow block machine from Aimix, you will have a low investment and quick recovery of the cost. Check The Parameters. 1. Our client visited our semi automatic hollow block making machine, he spoke highly of our machine. We promised him that if he bought our machine, we will give him one and a half year warranty. 2. Semi automatic hollow block machine is very cost-saving, if your project is not very big, semi automatic type will be your ideal choice, because it is controlled manually. Compared with fully automatic hollow block machine, it productivity is less than fully automatic type’s. 3. We will send our engineer and technician to your construction site, and help you make a best plan for hollow brick business. 4. Before you buying a semi automatic hollow block making machine, you need to tell us the scale of your construction site, and your raw materials, so that we can provide you best type. 5. if your hollow block machine has some problems, please call us, we will help you solve the problems, if phone call can’t solve the issue, we will send our engineer to your site, and help you check and maintain, meanwhile, we will tell you some maintenance tips, make your machine have a long service life. There are several types of hollow block machine for sale in our company. On the basis of the different forming structures, we can divide the machine into mechanical and hydroform bricks machine. According to the different operation mode, the cement hollow block making machine is distributed into full-automatic, semi-automatic and manual machine. Mechanical type: when the hollow block maker makes bricks, it makes some noise. But it has the features of few breakdowns and easy maintenance because of its simple mechanical structure. Fully automatic hollow block making machine: the full-automatic type is equipped with PLC electric control system, so it is easy to operate. In addition, the combination of digital technology and displacement sensing system ensures the precise and reliable procedures. The full-automatic machine is widely used in the large-scale project because of the easy operation and large production output. 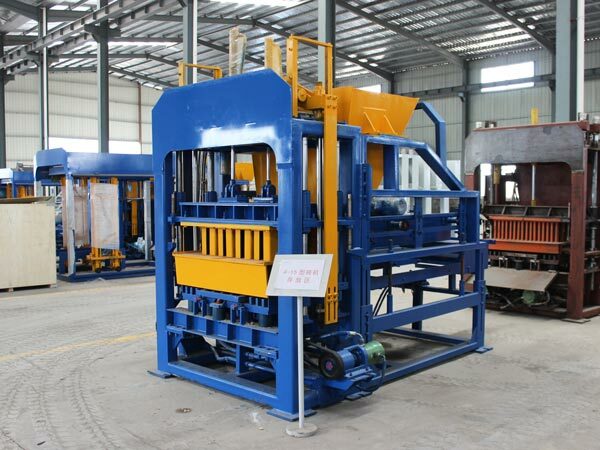 Manual Hollow Block Making Machine:the operators need to feed the materials and transfer the pallets by themselves. In the process of making machine, it costs many labor resources. But hollow block machine price is lower than the automatic machine. It is very suitable for the small-sized projects. Good news! Our customer from Pakistan ordered one set of QT8-15 hollow block making machine for sale, our machine is ready to be shipped to Pakistan. After the arrival of hollow block making machine, our technicians and engineers will do installation and test-run, ensure the machine can work normally. Pakistan is our main market, we have been sent many machines to Pakistan, such as, concrete batching plant, diesel concrete mixer with pump, trailer concrete pump, self loading concrete mixer, etc, if you need any other construction machines, you can also contact us! First of all, the operators transfer the raw materials into the batching machine by the wheel loaders. 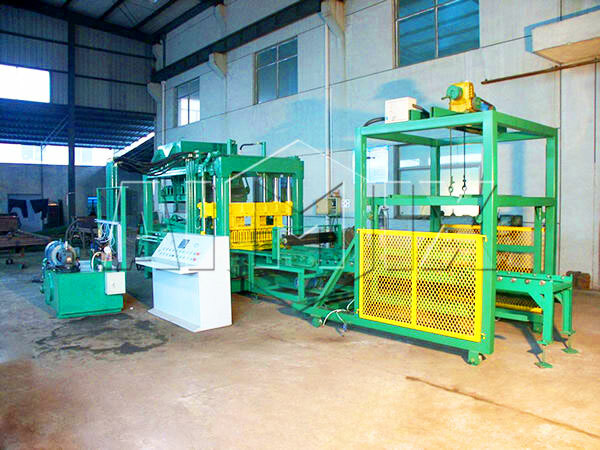 And the hollow block making machine weighs the materials and has a batching according to the requirements. Then discharge the prepared materials into the hoisting hopper. When the hopper goes to the top, discharge the materials into the mixer. Several minutes later, the materials are mixed well, and the discharge door is opened. The materials will be transferred to the belt transmission, and then they are conveyed to the storage hopper of the host machine. When the mold is reset, the materials will be transferred to the mold box. Then the distributor forces the materials into the mold box by going forward and backward. The out shape of the block and the inner shape of the block cavities are decided by the lines in the mold box. When the materials are full of the mold box, the distributor goes backward and stop moving, and the upper mold will press the cavities with vibrations. 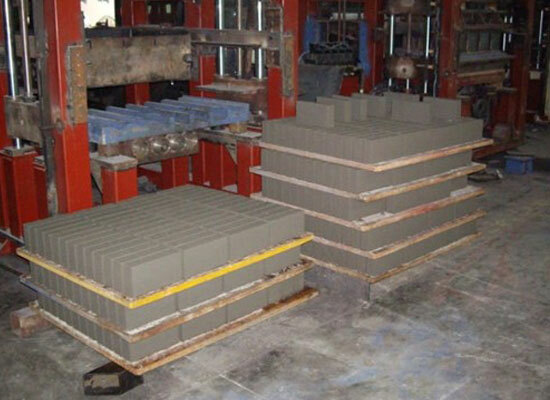 When the lower mold ascends, the bricks are formed and placed on the pallet. 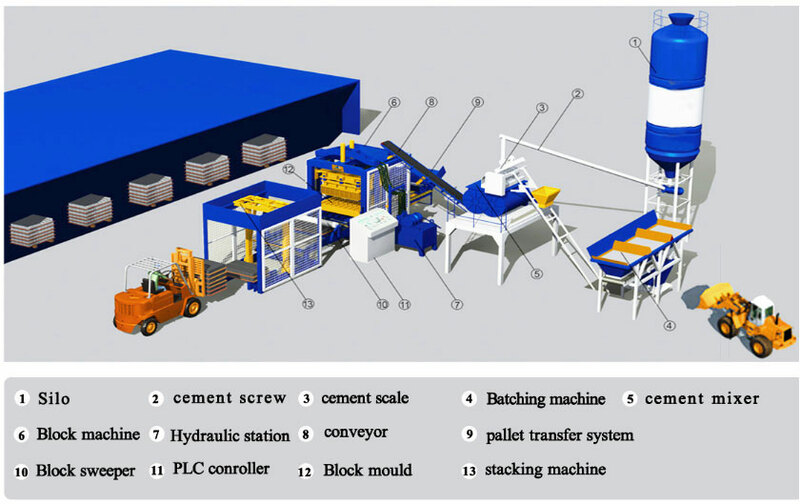 Then the palletizing system stacks the bricks automatically and then the bricks are conveyed to the drying platforms for drying for seven days or so. 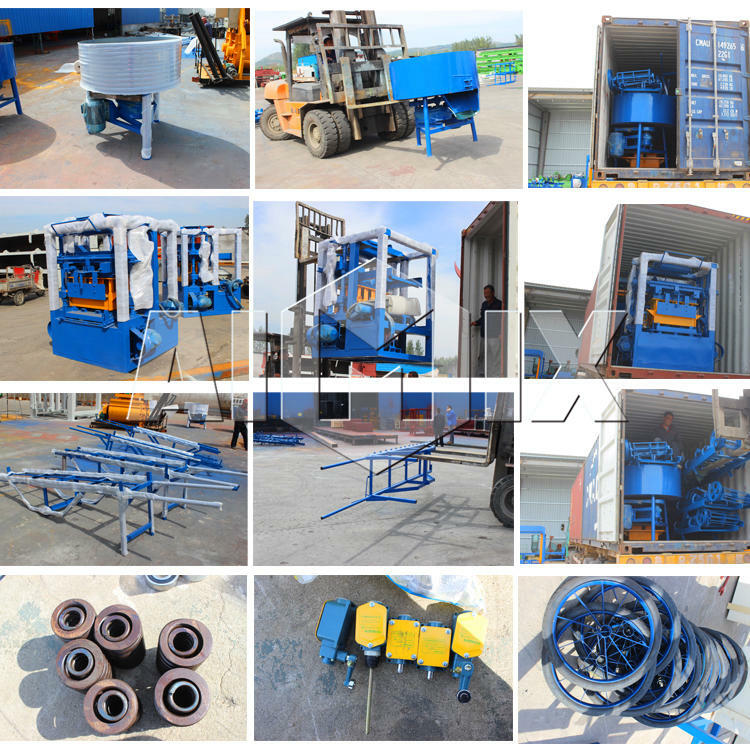 Generally speaking, the hollow brick machines supplied by the different enterprises have different qualities and prices, and all of the clients would like to buy good-quality machines at favourable price. 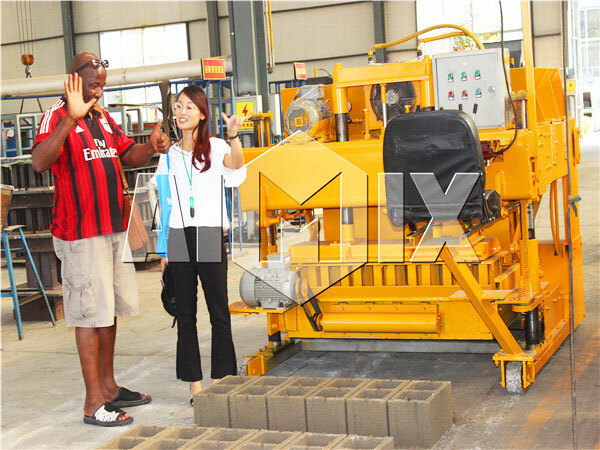 If the clients have good-quality machines, they will make more bricks and improve working efficiency. It is advisable to select the machines from many manufacturers and suppliers. First of all, the clients should pay attention to the quality of hollow block maker. Most of the machines have the similar appearance, so it is not reliable to choose the machine according to the appearance. For the machine, the keys parts nearly make the decisive influence on the quality and efficiency. For instance, the mixing speed is decided by mixer, and the the compulsory mixer will lead to even and quick mixing of materials. Otherwise, the machine will cost more time on mixing materials, though the same materials are fed into mixer. 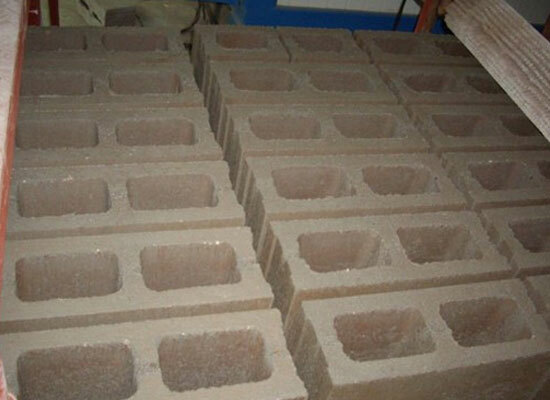 As for the mold, the mold made from carbonized materials will have long service life, and the bricks made by the concrete hollow block making machine will have intact appearance. However, the mold with poor quality often has short working life. What’s worse, the operator will replace the new one frequently, which will reduce the working efficiency. In Aimix, the hollow brick making machines are equipped with compulsory mixer, such as JS500, JW500 and JS 750. The molds are made from the high-strength material, and the carbonized materials enable the mold to be durable. Moreover, there are many kinds of machines for sale, and you can certainly find a most suitable one. For the clients, it is easy to select a suitable machine, but it is difficult to purchase the suitable machine at excepted price. The machines with good quality usually have high price due to the good configuration. That is to say, it is impossible to get an automatic machine at manual hollow block making machine price, so what the clients should do is to select the suitable machine with reasonable price. 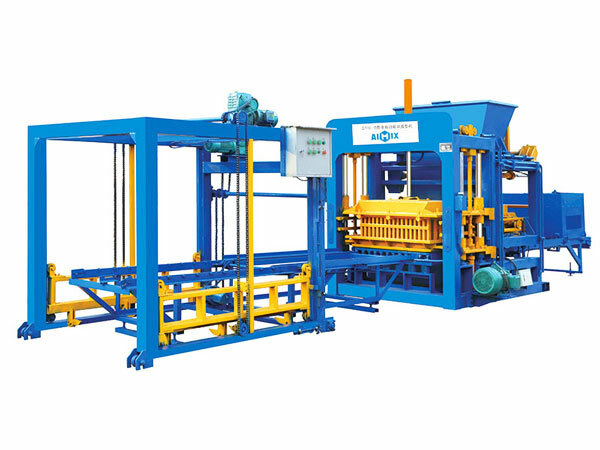 For concrete block making machine manufacturers and suppliers, the low sales price and high-machines ensure high competitiveness, thus most of them try their best to improve the production technique and working efficiency. As a professional manufacturer and supplier, we Aimix is always pursuing the advanced technology to enhance the quality and performance of cement hollow block making machine. On the one hand, the professional experts ensure the update of the technology, so that we will offer advanced machines for the clients. On the other hand, the proficient workers lead to superior productivity and quality. If the clients purchase the machine in Aimix, the favourable price will have a surprise for the clients. 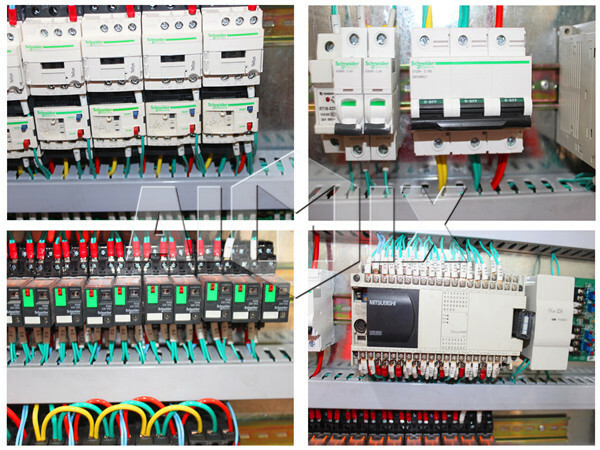 The control system adopts the automatic control mode, and it is easy to operate. The hollow blocks maker has the functions of man-machine interaction, data input and output. Moreover, the software package for self-diagnosis is equipped on the machine, and it will display the operational state. 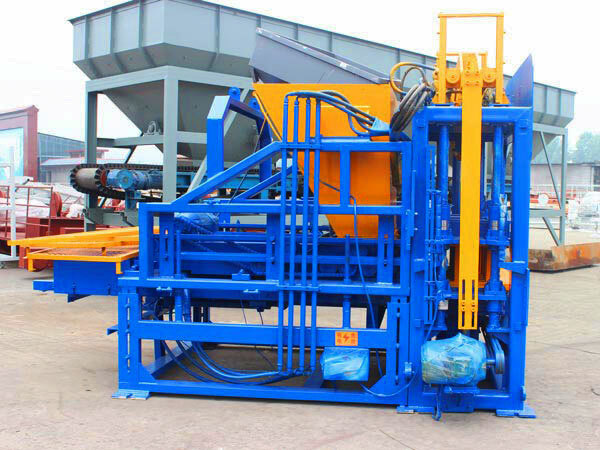 The hollow concrete block making machine distributes the materials compulsorily, which ensures the density of load block, light-weight block and gas-filled concrete block, and improves the efficiency of distribution. 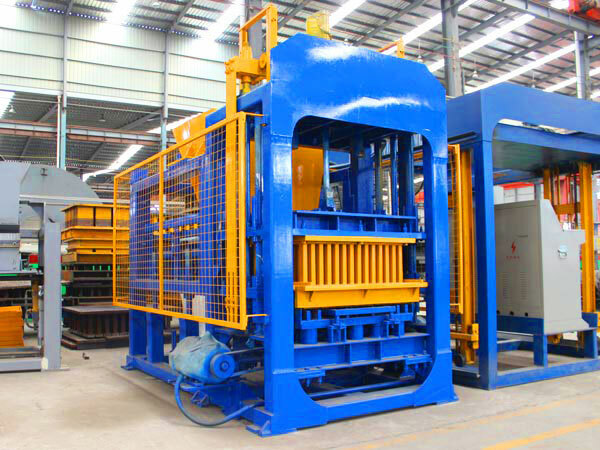 The body of machine adopts the thick-wall high-strength steel and the special welding technique, so it is firm and aseismatic. 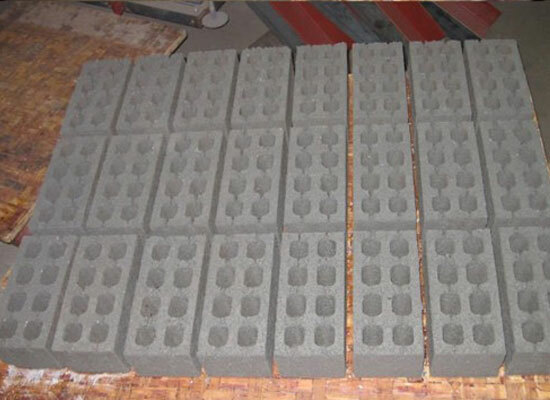 The violent vibration ensures rapid prototyping of the materials and the sufficient liquidation of cement, so that the bricks have high strength. Aimix group is a top enterprise in manufacturing construction machinery, and there are many construction machines for sale. As a leading company, we Aimix have prominent advantages. 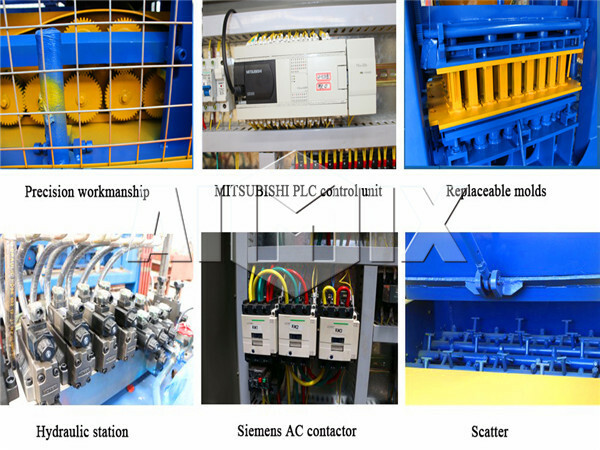 Good quality and proper price of the machine: We Aimix aims to enhance the performance and quality of the machine by improving the technology. The machine adopts special design and is made from the high-strength steel, which ensures the smooth running and long service life. The mass production and the improvement of the technology greatly cut the hollow bricks making machine cost, and the customer will purchase the good machine with proper price. Perfect service: In order to help the customer to select a suitable machine for making hollow blocks and ensure the smooth operation of the machine, there are perfect after sales services in our company. When the customers have an inquiry, we will give an early reply and introduce suitable hollow bricks machines for them. If the customer has special demand on the machine, we will communicate with the experts and give reasonable design. During operation, if the operators have any questions about the machine, we will assist them to solve the problems by telephone or video chat. There are many hollow brick machine manufacturers on the market, and the customers will select the best manufacture by comparing the hollow block making machine price and quality. We are confident that we will provide the best production and service for you if you purchase the machines from Aimix. If you want to get more information about the hollow block moulding machine, please leave your message or contact us, and we are glad to help you.